When the issue of economic growth and development of the country is raised, one has to take into account the performance of the growth of smallholder farmers. Reducing the challenges they are facing and utilizing their potentials can help to accelerate the agricultural sector and economic development of the country as a whole. Agricultural cooperatives are ideal means for self-reliance, higher productivity and promotion of agricultural development. 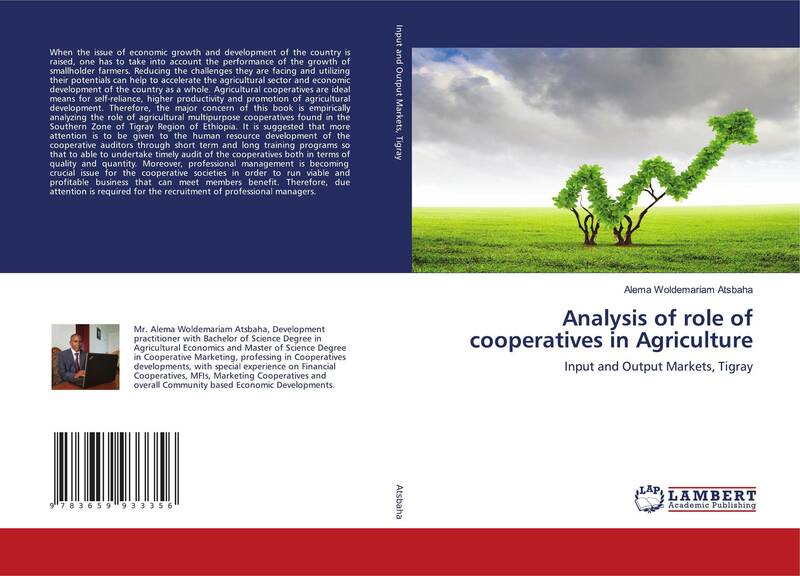 Therefore, the major concern of this book is empirically analyzing the role of agricultural multipurpose cooperatives found in the Southern Zone of Tigray Region of Ethiopia. It is suggested that more attention is to be given to the human resource development of the cooperative auditors through short term and long training programs so that to able to undertake timely audit of the cooperatives both in terms of quality and quantity. Moreover, professional management is becoming crucial issue for the cooperative societies in order to run viable and profitable business that can meet members benefit. Therefore, due attention is required for the recruitment of professional managers.